Award-winning San Francisco Bay Area branding and design firm Project6 Design, has received two honors from the Web Marketing Association’s 2012 WebAwards, the premier award-recognition program for web developers and marketers worldwide. 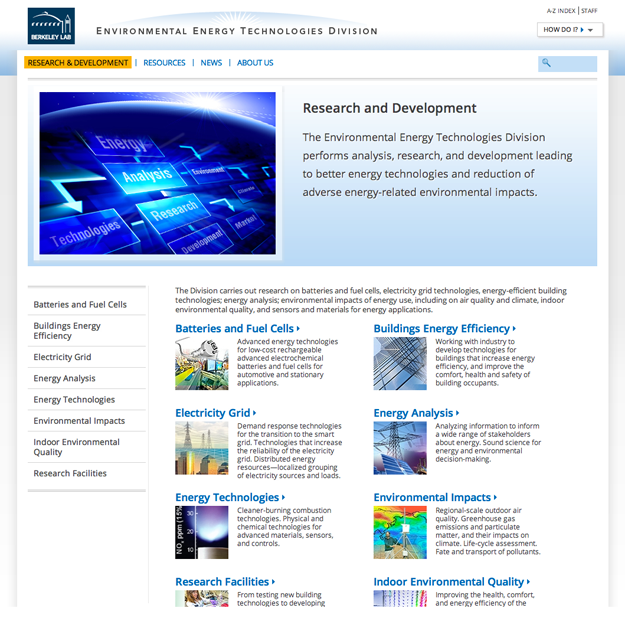 Earning the award in the Government and Energy categories for overall Outstanding Website was Project6 Design’s work for the Environmental Energy Technologies Division of Lawrence Berkeley National Labs. And in the Education category, it earned the Standard of Excellence award for its redesign of the California Maritime Academy’s site. San Francisco Bay Area branding and website design firm, Project6 Design, is proud to announce two honors from the Web Marketing Association’s 16th Annual WebAwards. 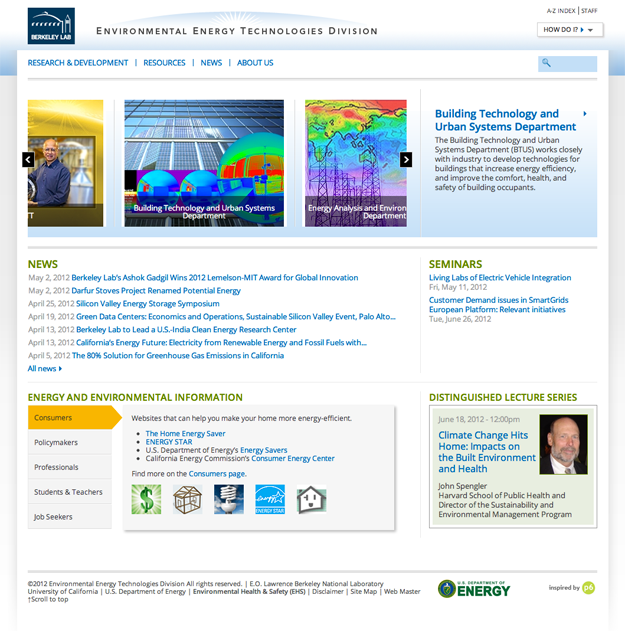 The site redesign and build for the Environmental Energy Technologies Division (EETD) of Lawrence Berkeley National Laboratory earned overall recognition as Outstanding Website within the Government and Energy categories. The redesign of California Maritime Academy website earned the Standard of Excellence award in the contest’s Education category. The WebAward program is the longest running annual website competition dedicated to naming the best sites in 96 industries while setting the standard of excellence for all website development. Sites are judged by a panel of industry experts using seven criteria: design, ease of use, copywriting, interactivity, use of technology, innovation and content. Project6 Design’s award-winning project for EETD included integration of the Drupal content management system to better showcase the division’s scientific programs. A U.S. Department of Energy National Laboratory operated by the University of California, EETD performs groundbreaking analysis, research, and development leading to better energy technologies and reduction of adverse energy-related environmental impacts. The new site reflects an updated design that is open, modern, and reflects the clean energy space the client is in. Users can find relevant information on the homepage and throughout the site. If a user searches for a project, for example, they will also find relevant contacts, links, software, etc. all on the same page. Using Drupal, the new site is also very easy to update as well. The homepage serves as a gateway to different users such as Policymakers, Students, Researchers, and Consumers with content for each group guiding them throughout the site. The homepage also is constantly updated automatically with the latest news, events and seminars. For California Maritime Academy, Project6 completed a full redesign and build, significantly updating the educational institute’s information architecture making content much easier to find for the target audience. The California Maritime Academy (Cal Maritime) is a unique and specialized campus of the 23-campus California State University (CSU) system. Cal Maritime is a leader in maritime education, preparing its students for careers in international business and logistics, marine engineering technology, global studies and maritime affairs, marine transportation, mechanical engineering, and facilities engineering technology. “It was exciting to work with both of these respected institutions,” said Esten Sesto, founder and president of Project6 Design. “The goals of each site redesign were quite different—EETD is a large government research division within the Lab, with numerous projects and long-term studies. We wanted to improve efficiencies in the way the content was managed within the site and better handle those relationships. 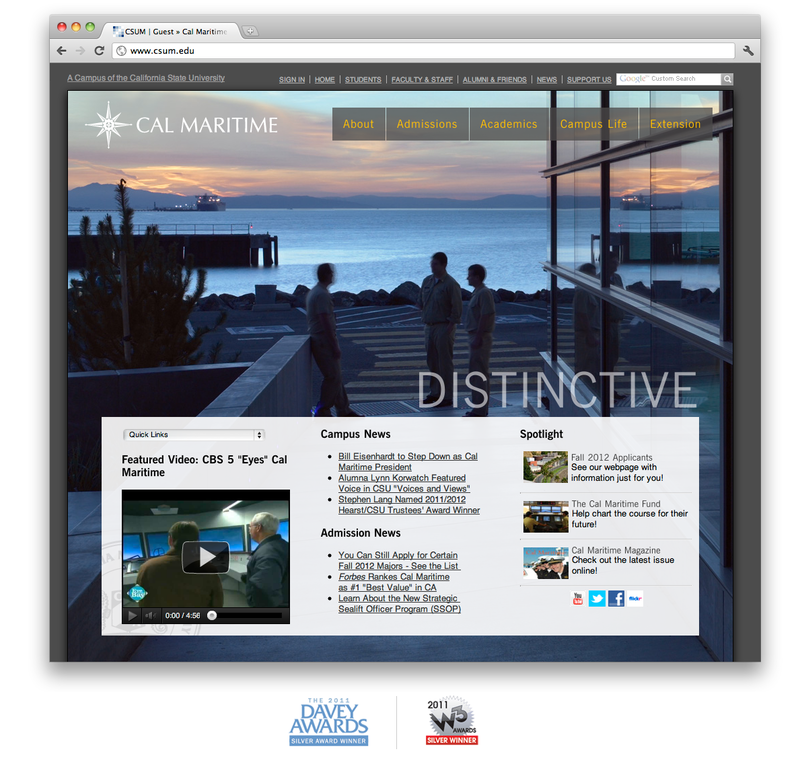 “Cal Maritime needed its site’s information architecture and user experience updated dramatically. The new website makes content easy to find and new brand reflects the prestigious qualities of the California State University campus. Since 1997, the Web Marketing Association’s annual WebAward Competition has been setting the standard of excellence for website development. Independent expert judges who represent the various relevant disciplines and are distinguished experts in their fields review sites in 96 industries. The WebAward Competition is the premier award recognition program for Web developers and marketers worldwide. Please visit http://www.webaward.org for more information. Project6 Design, established in 2001, is an award-winning San Francisco Bay Area (Berkeley, CA) based graphic design firm that specializes in strategic brand, print, and web design and development services. Project6 Design is unique because of its strong emphasis on design and usability while still having the ability to implement web projects in-house (leveraging several years of expertise in the Drupal CMS). From non-profit to Fortune 500, clients include the University of California San Francisco, eBay, CA Technologies, Stanford University, Gap, United Way, Serena Software, and Old Navy. For more information, call (510) 540-8005, email info[at]project6[dot]com, or visit http://www.project6.com.